The AlphaView® AVM1T3N is an ultra-high brightness, high-contrast, grayscale display. With all the features of more expensive Diagnostic Imaging Displays the AlphaView AVM1T3N is engineered with the quality-minded, cost-conscious, Radiology Professional in mind. 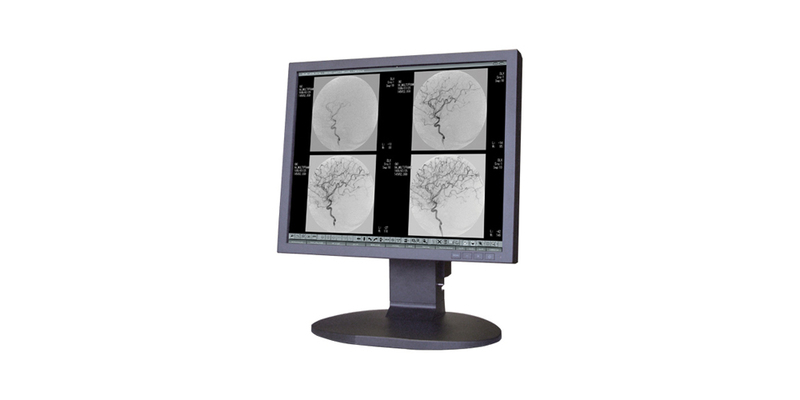 The 19” AVM1T3N delivers superior-quality, grayscale images and is designed for use in all PACS environments. Modality applications include: X-Ray, catheterization lab, R & F lab, angiography, fluoroscopy, intravascular, and more. The AlphaView AVM1T3N display is equipped with a luminance stabilizing system that automatically compensates for luminance changes due to startup drift, temperature change, and aging. This 19" display is an ideal plug and play retrofit upgrade monitor to existing CRT displays including legacy CRTs from manufacturers like Philips, GE, Siemens and more. The AlphaView AVM1T3N ships standard with a tilt-swivel stand for landscape-portrait rotation.